GUESS WHAT? I’M JOINING THE EOS ASIA TEAM! I know it has been some time since I’ve posted on Steemit, but I have some exciting news - I have officially accepted an offer from EOS ASIA. I will be joining Dafeng, Joe, and the rest of the team starting today, August 13th. I have been following the EOSIO project since a little before its ICO started last year. At that point I was fairly new to crypto (about 4 months in), and was looking for some way I could make money working from home. A friend of mine suggested day trading, and I looked into it, got bored, and stopped before I even started. But, in doing so, I found Steemit, and since then, my life has not been the same. Although I had started looking into crypto to make some cash while I stayed at home with my newborn baby, I quickly realized that much of what Dan Larimer wrote resonated with me philosophically and spiritually. After researching his work, I knew that his latest project (EOS) was something that I wanted to be involved in. I joined the EOS Projects Telegram group, and began volunteering. As a “community volunteer” I got to work with some amazing groups: EOS GO, EOS TALKS, THE WIRE, ONO, TELOS, and others. I was and am a strong proponent of any project that I feel will help promote and advance the EOSIO software. I started to see my role in the community as a do-er; someone that had the luxury of time to get things done. On the way, I have made some incredible friends, one of those being Joe; co-founder of EOS Asia. We worked together on one - off projects here and there, and after a while it became clear that we work well together and hold many of the same hopes and dreams for the EOS mainnet. 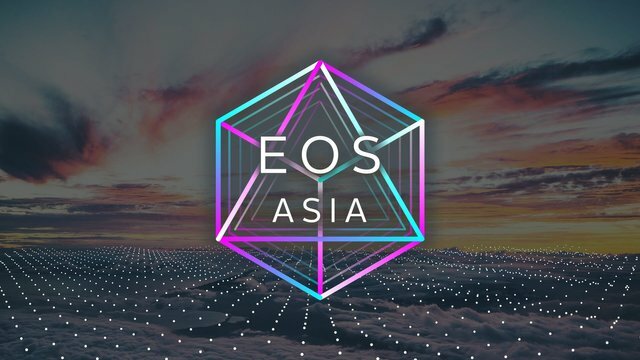 Because of the synergy between us, and my husband’s growing frustration with my new “EOS Hobby”, I have decided to join the EOS Asia team and help them bridge the gap between the Eastern and Western worlds. From my interactions with the team, I can confidently say that they are knowledgeable, capable, and level-headed. They have a long-term vision for EOS, and truly have a heart for the EOS community. The time I’ve spent as a volunteer has been incredible for me, I have truly learned so much. I hope to leverage all the time, effort, and friendships I have made this past year into meaningful action as I move forward with the EOS Asia team. P.S. My real name is Leah, but due to one part Steemit snafu, and one part paranoid husband I go by Katie (name of dog) Roman (Mom’s maiden name). Don’t worry, you can keep calling me Katie. P.P.S. Come speak to me at my new home on Telegram at https://t.me/EOSAsia. EOS Asia are lucky to gain such a knowledgeable and valuable human being inside there team! I have highly enjoyed your writings about EOS all these last months, you are part of those who spread the seeds of my actual passion for EOS.IO!!! Lot's of love, and thanks to you! Eosasia is a great team - Great news! Thank you, Sharif. Love your team!